One of the most successful English rock bands to date Coldplay headed by the front man Chris Martin is rightfully considered a heir to U2 and at the same time sets an example of an impressive list of beginning musicians. Martin's vocals have become recognizable right after the debut album Parachutes was released in 2000, and the two following A Rush of Blood To The Head (2002) and X&Y(2005) have proved to be quite commercially successful projects with the audience tasting rather slowly each of them but when it did the hits would not leave the chart tops. Last year the band made a trip to South America where it got some inspiration for working on the fourth work. Finally the new record is ready. Viva La Vida is a result of a fruitful collaboration of Coldplay and producer Brian Eno who has also worked with U2, an example of how the sounding of a band can be given a new tint with the help of almost unnoticeable strokes leaving its basic palette practically unchanged. Easily the best Coldplay album Viva La Vida will positively occupy a steady leading position among the best rock albums of late, too. 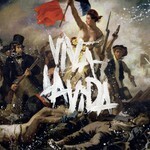 Due to Brian Eno's influence Viva La Vida offers several pleasant surprises at once. First, on the greatest part of tracks Chris Martin's vocals sound in a somewhat lower register although his falsetto of which the audience is so fond of can be heard everywhere it is necessary. Second, Coldplay music itself has become more volume, many-leveled and majestic. Third, a significant part of new songs is built on a contrast of a lively rhythm and epic melodies with a bridge of concordance between them being the front man's splendid voice. The first track Life In Technicolor is a kind of introduction with no voice but not without vocals reminiscent of several U2's songs in a row. Compositions Cemeteries Of London and Lost! are both examples of that very seeming disharmony of rhythm and tune producing an absolutely amazing effect. One of the album's best tracks is 42 consisting of some parts. At the beginning it is a wonderful piano ode to the deceased genius, then heavy guitars are added reminding of Radiohead a little bit, after which the song gets a more joyful mood and ends with what it has started. The longest composition on the album Yes surprises immensely with Martin's incredibly low vocals and fiddles worthy of a comparison to Led Zeppelin. Two singles follow each other, i.e. the title track about a king surviving a crisis and an unhappy love anthem Violet Hill, and both will surely become hits. Another highlight is song Strawberry Swing with a great accompaniment and a beautiful tune, and the closing ballad Death And All His Friends is the slowest and most melancholic piece on the record, containing a hidden and then a bonus follows so the album ends quite optimistically. The success of the first three albums was mainly determined by the fact that there was no failure material on any of them and the fourth work sticks to the formula as well. Still the collective's creative growth is obvious; one should just listen to Viva La Vida a couple of times to be sure of that. The album is titled after the painting of a Mexican painter Frida Kahlo and the graphics of the record cover features a reproduction of Eugene Delacroix's work Liberty Leading the People. An interest to culture, elegance, insecurity, vulnerability, optimism and even humor are mixed together on Viva La Vida, making it the brightest and most stylish of all Coldplay creations. As for the texts the regular romantic Martin's lyrics have become even more interesting, there are more intimate thoughts here, and the rhymes tend to be less and less predictable. On the whole Viva La Vida mesmerizes and inspires simultaneously reminding of the best works of Peter Gabriel and naturally U2 and taking Coldplay to an even higher level and hopefully despite all its fears and insecurity this raising will only continue.